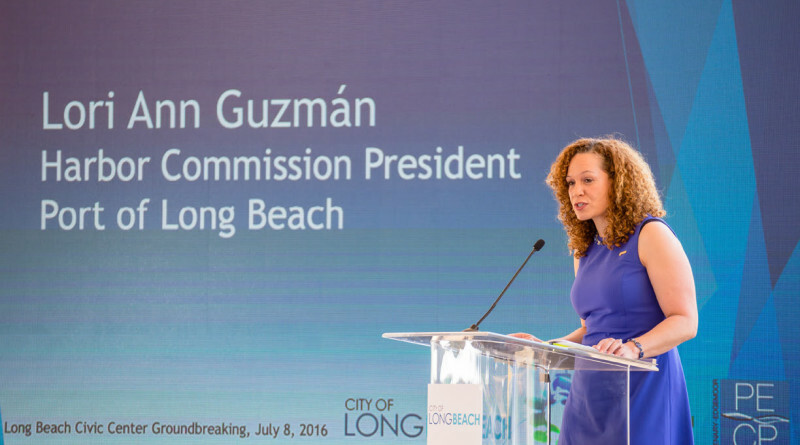 LONG BEACH — Harbor Commission President Lori Ann Guzmán has been re-elected to serve a second one-year term leading the board that oversees the Port of Long Beach, the nation’s second-busiest seaport. The five-member Long Beach Board of Harbor Commissioners also selected Lou Anne Bynum as Vice President and Tracy Egoscue as Secretary, continuing in the roles they have served in for the past 12 months. Each July, the Commission selects from its own members the President and the other Board officers for one-year terms. Guzmán, who is the Director of Finance for the city of Huntington Beach, was appointed to the Harbor Commission in 2013 by then-Mayor Bob Foster. The commission president chairs board meetings and represents the port to the public. Guzmán was first selected as Board President in July 2015.